We split off into our community visits yesterday and we spend hours driving down to the coast of Sri Lanka to get to Matara. It was a really long drive but on the positive side this means we got to see a lot more of Sri Lanka and learn more about a new place when some of the teams were staying local. We also have a beautiful hotel. With a huge room all to myself. One thing I have learnt while in Sri Lanka is that everyone is really chilled out and laid back which is cool but when you are waiting for breakfast it could be a while. Our Sri Lankan guide summed it up by saying "In Sri Lanka we are relaxed about everything....except driving we drive fast'. Talking of driving I am in love with the tuc tuc we so need these in England they drive crazy fast and we got to go in one it felt like we were in a roller coaster. They are a really cheap mode of transport. I loved seeing all the different pimped out ones around the coast. 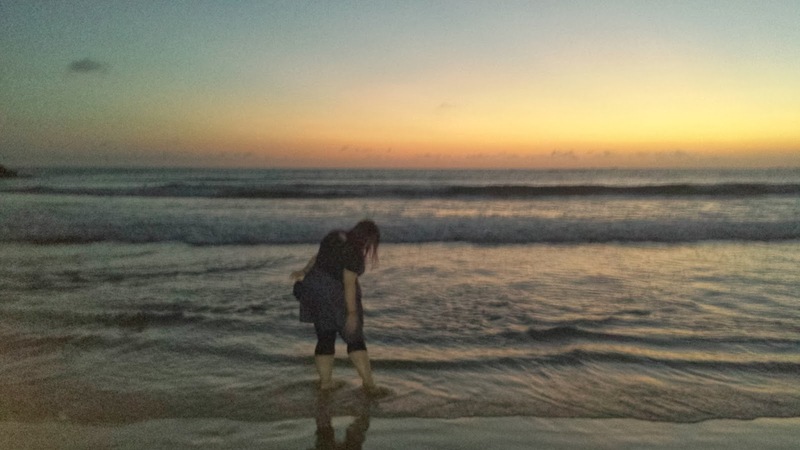 We went to a beautiful beach on Matara coast. We got there just in time for sunset. The sea breeze hitting our faces as we chucked our shoes to the rocks sand beneath our toes and waves hitting our feet as the sun slowly went down. Buddhist chants from a local temple played through the air. The temple was a beautiful sight in itself across a huge bridge and out on the sea. The moment was breath taking we all just looked and smiled at each other as the waves lapped at our feet. The sky changing colour before our eyes. We couldn't take pictures in the Buddhist temple but we remained with no shoes and looked around even met some monks. The building was beautiful and there was lots of fish, candles and flowers. I can see how the temple could be such a peaceful place to be in and I would love to visit some more Buddhist temples. Religion fascinates me and somehow I always feel safe and welcome in religious buildings. 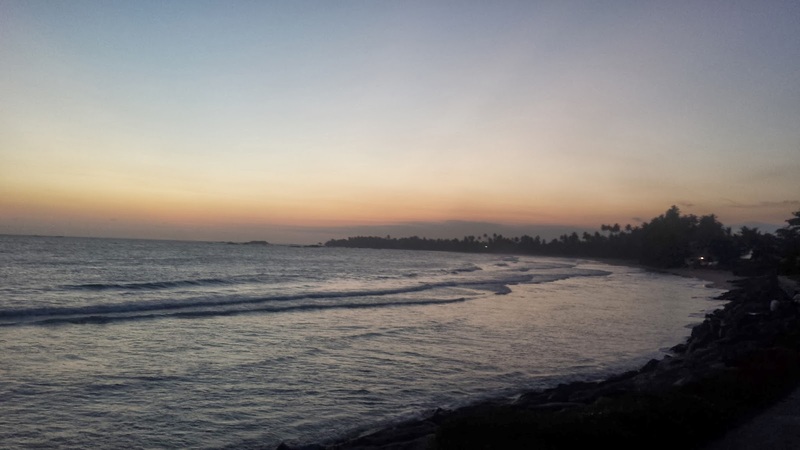 If you go to Matara check out the view from this temple because I was told that when you look out from this point into the sea nothing lies between Sri Lanka and the Antarctica even though it is so far away. Looking out to the vast sea is always so humbling. I need to move to the sea! We tried fried dhal on the sea coast and then we ate dinner with our hosts at a huge restaurant by the beach and got to go back to the hotel in a tuc tuc. Everyone was sharing and laughing the perfect end to the day.